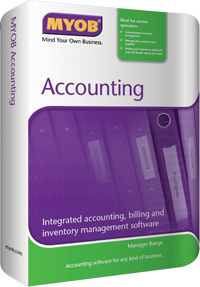 MYOB Accounting software is designed with the small business owner in mind. Has CashBook, Sales and Purchasing and Inventory management modules. And Job costing. Prepares full set accounts. Single user and single currency. With MYOB Accounting software, we emphasise on automating the daily processes, leaving you time to build your business. Developed with the layman in mind. No accounting jargons used. Save recurring transactions as templates. Don't need to re-enter them each time. See exactly what's in stock, on order and committed. Stock listing is always up-to-date and accurate. We owe it to MYOB software to help us achieve our sales targets!